Yes, I’m offended and that’s okay. It’s okay to be offended. If somebody publically ridicules my father, I’m expected and allowed to be offended. I feel about my Prophet and my religion the same way and it doesn’t matter if the offender doesn’t get it. His ignorance doesn’t minimize the hurt I experience at the hands of his crude behavior. I am not ashamed of owning my hurt but that’s not the issue. The issue is how I channel my hurt and what channels are available to me to express my hurt. Self-defense is not synonymous with slaughter. In other words, unless the offender is physically trampling you, you probably shouldn’t kill him. There are always other, more civilized, ways of retaliating. Nicolas Sarkozy was hurt too when Sine joked about him. We all know the amazing true story where Charlie Hebdo had to fire an employee on grounds of anti-Semitism. 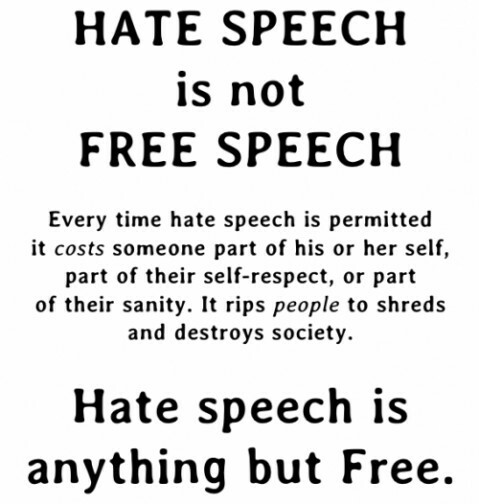 Thus, establishing that freedom of speech is not the same as hate speech. There’s a law defining that and Sarkozy was wise enough to use that law to his advantage. My brothers in faith would be better off to follow suit. Using the law, not taking the law into your own hands, getting laws made that protect the Muslim faith is one narrative that the Muslim community must work on and push for. As tax-paying equal citizens of the land, we have that power and it must be recognized by the State. There was a time when anti-Semitism laws didn’t exist and it was ok to use the N word. I still remember that one book by Agatha Christie – I read it with the old title still intact. Not anymore. The basic underlying principle of these legislations was that such behavior hurt sentiments and feelings of a community. Hence, we can’t cheer for freedom of speech when it crosses over to hate speech. Then, there’s the role of the media. There were two Muslims gunned down too at the Charlie Hebdo incident. One of them was an employee of the newspaper and the other was a policeman out there defending the freedom of the publication that mocked his faith. Why are the gunmen who killed them the true face of Islam? Why can’t Mustapha Ourrad and Ahmed Merabet be the face of their faith? Osama Bin Laden’s journey from freedom fighter to Islamic terrorist is no secret. You, the media, told me that he was the anti-Soviet warrior who put his army on the road for peace (ref: The Independent’s article by Robert Fisk published 1993). And when he went rogue, suddenly my beliefs were to blame? That’s like the mom who is the adult in-charge of her child but blames his bad behavior on daddy’s DNA. Why am I expected to apologize for crimes that I neither committed nor condone? I’m originally from Pakistan. I hope the world realizes that my home country has lost more than 60,000 civilians to the same terrorist mindset that killed those 12 people in France. Why does the media narrative let a minority decide for a majority? As rightly pointed out by select columnists – when was the last time Christians/Jews/non-Muslims/atheists had to put forth a group apology for the crimes committed in the name of their beliefs? To quote one such piece, “all terrorists are Muslims except the 94% that aren’t”. I don’t stand for Charlie Hebdo’s style of expression. It is vulgar. Killing those cartoonists was vulgar, too, and spitting out more of the same will only end in more of the same. Attack on that publication ended in attacks on several mosques in France, which only goes to show that when offended, crazies act similarly. The best attack on fear is through knowledge and integration. Ramadan, Hajj and their associated Eids are huge events for Muslims. I’ve been in the USA for over a decade. My children are American. They have no other homeland. Every Christmas, Hanukah and Kwanza, we hear the cheer being spread around; on TV, over the radio, newspapers, in the malls where you can easily buy the appropriate decorations. There was even a segment on Diwali or Holi (slips my mind as to which one so forgive me). We love it. It’s nice to wish all these various communities well on their big day. However, I have yet to hear a media person wish us, the Muslim Americans, a Happy Eid. Is it really that hard to accommodate that one line in your speech once or twice a year? Yes, we have two Eids. Pick the one you’d want to wish us on – I’d go with the one at the end of Ramadan, personally. Most Muslims follow the dietary restrictions defined by Islam. We eat only Zabiha when it comes to meat and Halal is a huge ingredient in our foodstuffs. (Please, google the two or ask your neighborly Muslim for an explanation.) The grocery stores across the country sell kosher products. It wouldn’t hurt them to incorporate halal products on their shelves to facilitate their Muslim shoppers. Wouldn’t it be nice if the schools offered a halal menu for the kids who happen to be both American and Muslim? Their parents are paying taxes too, you know. Coming from a third world, very turbulent country, if I’ve learned anything it is that when minorities, no matter how small, are crushed, forcibly made irrelevant and ignored – countries crumble. For a country to exist in peace, it is important that ALL of her people feel safe, at home, integrated and know that if they are wronged, they will be heard. Peace be with us and within us! This post was part of CNN’s I Am A Muslim assignment.